Body Mechanics Remedial exists because of my own back injury. I slipped two discs in my lower back and was off work for 6 months, twice within two years. It was an intensely painful and stressful experience in so many ways. However, I'm hugely grateful for that injury, it taught me some invaluable lessons. It made me understand just how widely injury and sickness absence permeates throughout the different areas of your life - personally, socially, financially and career wise - and how exhausting the constant struggle to 'keep going' is. It gave me a first-hand insight into the perceived duty of care from an employer towards an employee and how more needed to be done. It motivated me to turn a negative into a positive and to address an issue I feel strongly about. 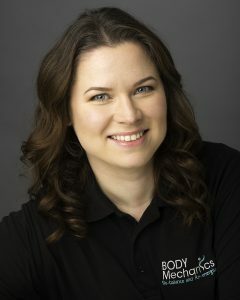 So, in 2011 I set up Body Mechanics Remedial to help others and to begin my journey in bridging a gap in the market - corporate health and wellbeing. Over time, the business has grown, and I've built a team of therapists, skilled in different areas of health and wellbeing, to work specifically with corporate businesses. There is huge potential for corporate businesses to maximise their employee engagement and business results through health and wellbeing programmes. Myself and the rest of the team at Body Mechanics Remedial want to help you fulfil that potential and to ensure your business success.